Bend the Arc Jewish Action PAC is the first and only Jewish PAC to advocate solely for the progressive domestic principles our community has cared deeply about for generations. By bringing the values of American Jewish political activists from across the country to Washington, D.C., we seek to hold this nation to its promise of justice and equality. If you are an American Jew in search of a Jewish political outlet that advocates on domestic issues like economic justice, racial justice, gender equity, LGBT equality, and immigration reform, you’ve lacked a voice in Washington. Until now. Bend the Arc Jewish Action PAC is a community of thousands of American Jews coming together to advocate for our vision of America as a nation that values democracy, equality, and justice. Some of us are longtime political activists, and others of us are making our very first political contributions in service of our beliefs. Together, we are engaging our representatives in Washington to demonstrate that the American Jewish community is more than a single-issue constituency: rather we are one that is bound by a moral imperative to fight for progressive values. Equal rights for all: American Jews have a long track record of standing up for the rights and dignity of every American. From the struggle for the right to vote and the ongoing fight for racial justice, to the movement for full equality for the LGBTQ community and the rights of women to make their own healthcare decisions, our community has always been on the frontlines of the fight for equal rights. Our endorsees honor this legacy by advocating for policies that further secure these rights and fending off policies that threaten to encroach on them. 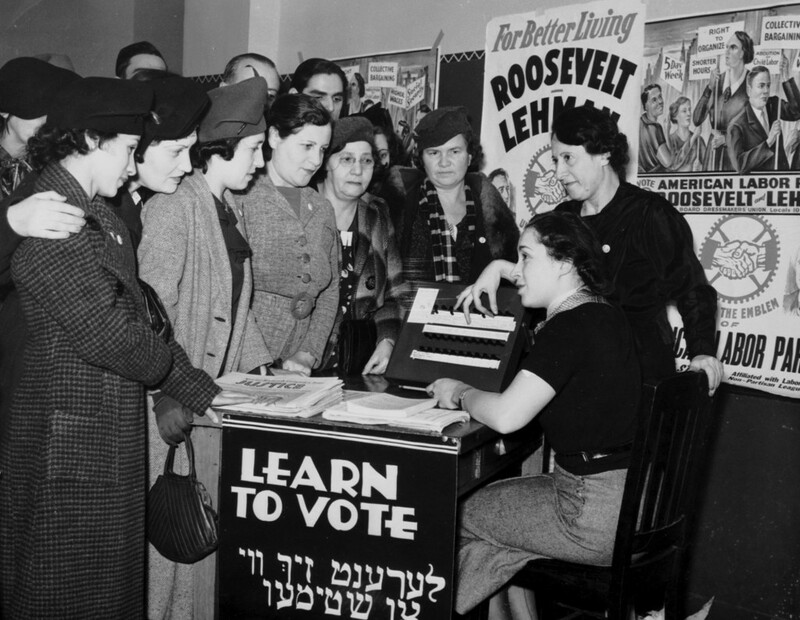 Equality of opportunity: Since the earliest days of our nation’s Labor Movement, American Jews have been at the forefront of the struggle for economic justice. Our tradition calls on us to promote economic mobility and fight for the equal treatment of all workers. Our endorsees share a dedication to building an economy where everyone has access to the same basic opportunities. A welcoming America: The majority of American Jews would not be in this country if current immigration policies had been in place when our families sought opportunity and refuge here. We understand that America is at its best when we find the courage to open our hearts to new citizens, and our endorsed candidates understand this too.